The UC San Francisco Medical Center is home to some of nation’s best doctors, industry-leading bio-researchers, and most recently, an angel. UCSF is proudly unveiling a new outpatient medical building- thanks to a $40 million gift from “angel investor” and philanthropist Ron Conway and his family. The generous gift is intended to fund the 207,500-square-foot outpatient medical building at the new UCSF Medical Center at Mission Bay, which is expected to see in excess of 1,500 outpatient visits per day. The building will house outpatient services for women, children and cancer patients as of February 1, 2015. In addition to housing a 289-bed hospital complex, The UCSF Ron Conway Family Gateway Medical Building will also serve as a teaching facility for students and includes a cancer clinic, women’s health clinic, and a pediatric clinic. 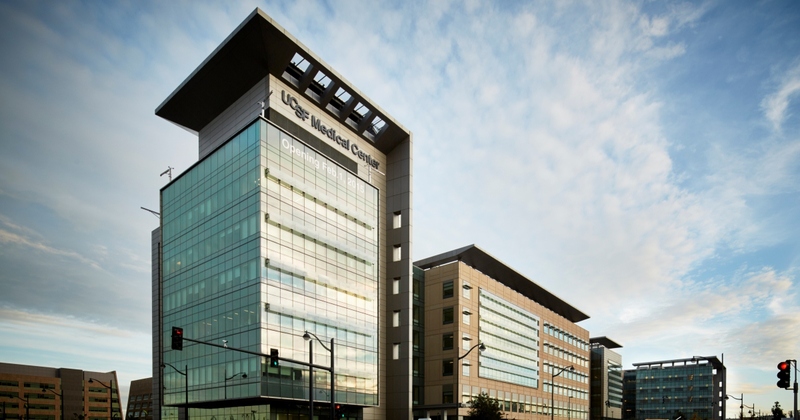 According to a university press release, the new building “will enhance UCSF’s ecosystem of innovation by putting physicians in close proximity to researchers and near biotechnology and pharmaceutical companies in Mission Bay and beyond. Ron Conway earned his “wings” as the founder of SV Angel, a member of the UCSF Medical Center Campaign Cabinet and the UCSF Foundation Board. As a supporter and philanthropist to neurodegenerative disease research and treatment through the UCSF Neuroscience Initiative, Ron Conway and his family are a shining example of the support that the medical research community receives at UCSF. This generous $40 million gift from the Conway family promises to bring thousands of outpatients under the same roof with the researchers, clinicians, and scientists that are integral to their treatment and recovery. The University of San Francisco Medical Center, Mission Bay is home to some of California’s leading bioresearchers, and represents a growing marketing opportunity for vendors of laboratory equipment and consumables. As the campus continues to expand, so does the need for cutting-edge biotechnology, laboratory equipment and consumables. Laboratory suppliers that would like to increase lab sales by marketing directly to eminent and well-funded researchers can target the UC San Francisco marketplace by attending the 10th Biotechnology Vendor Showcase™ Event at UC San Francisco, Mission Bay on February 26, 2015. By visiting UCSF researchers on their own campus at shows like this one, vendors make valuable industry connections and maximize their products exposure directly with the researchers and scientists that need them. Last year’s event at UCSF attracted 292 attendees, including 107 purchasing agents, professors and post docs, and 47 lab managers from 16 different research buildings and 44 on-campus departments. Click below to learn more about increasing your products' exposure in the UCSF research market by becoming an exhibitor.